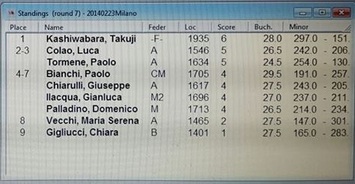 Francesco Marconi won the first stage in his home town Rome. 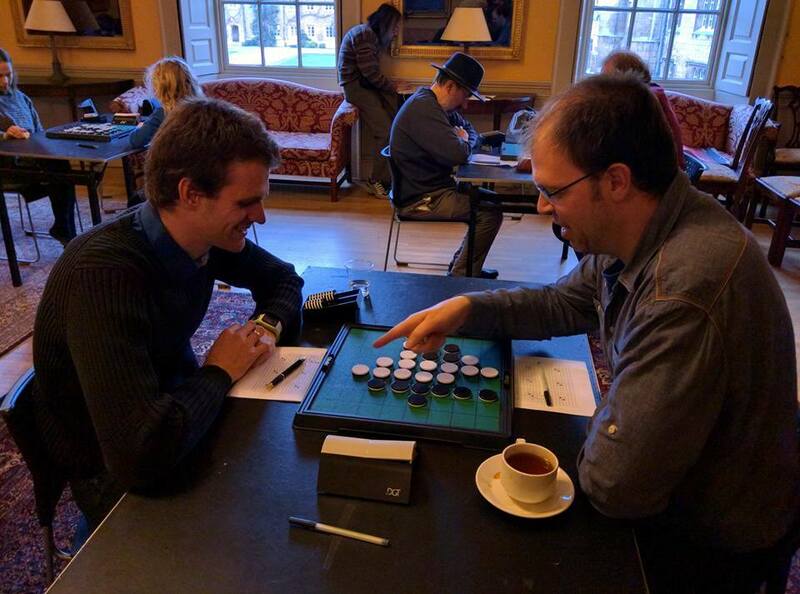 Imre Leader collected collected his first 2016 EGP points at his own Trinity college, but he failed to lay his ands on the full 200 points. Tom Schotte won the tournament after an unnerving final against Takuji Kashiwabara. 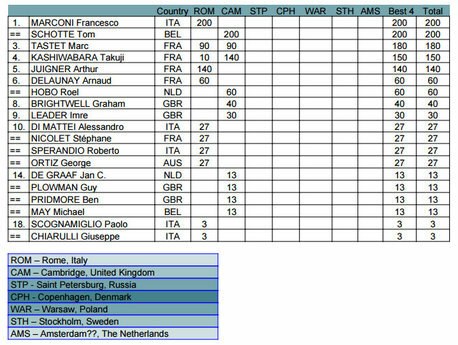 Third place for Marc Tastet and fourth place for Roel Hobo. 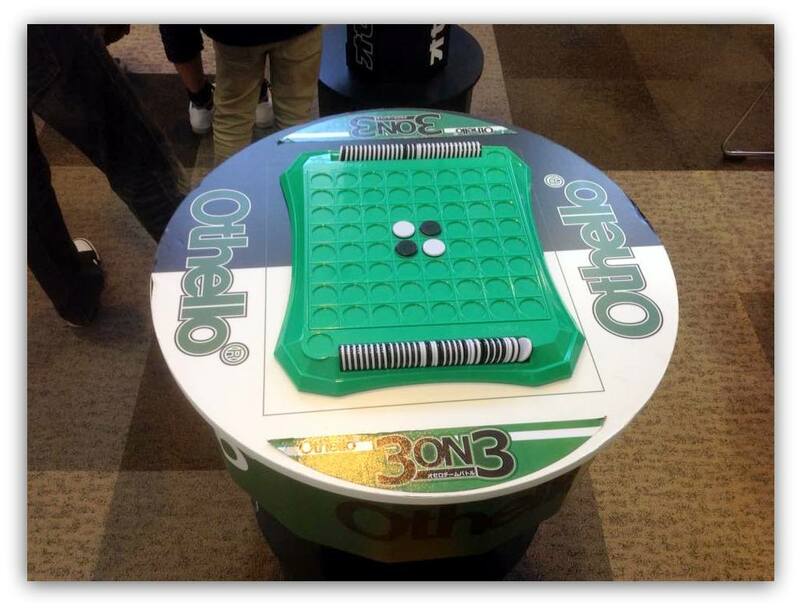 Read more on the Othello News Cambridge EGP page. 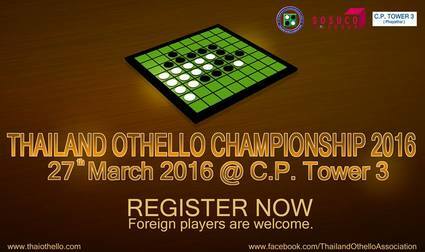 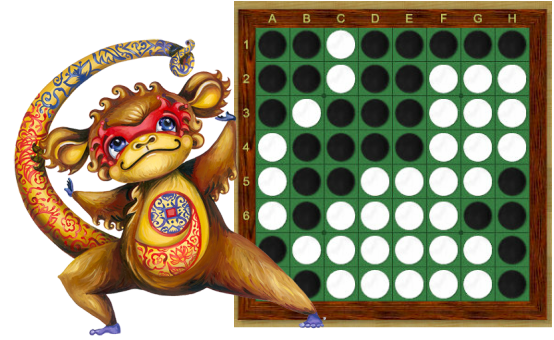 The Thailand Othello Championship will take plase March 27th. 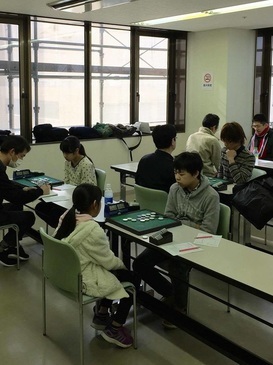 Foreign players are welcome. 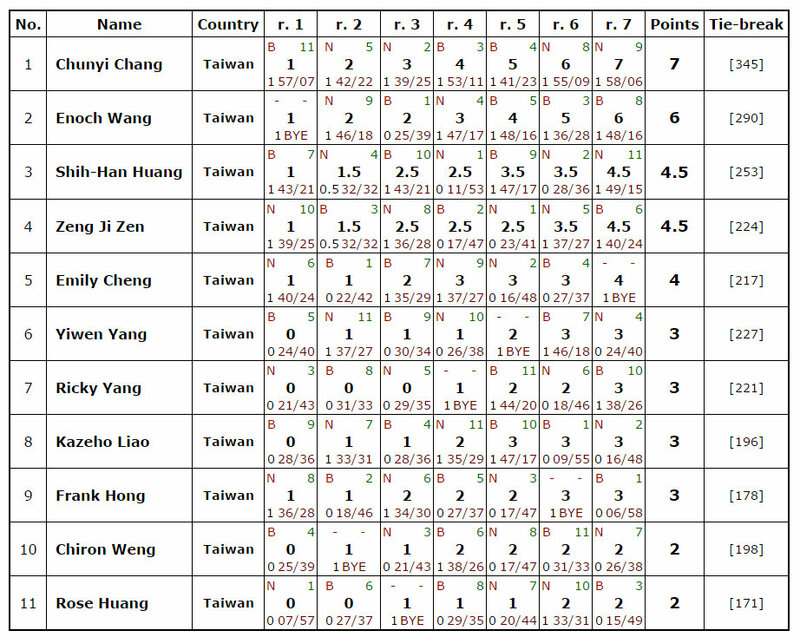 In case a foreign player becomes champion of this tournament, such player can't be the representative player of Thailand team for WOC2016. 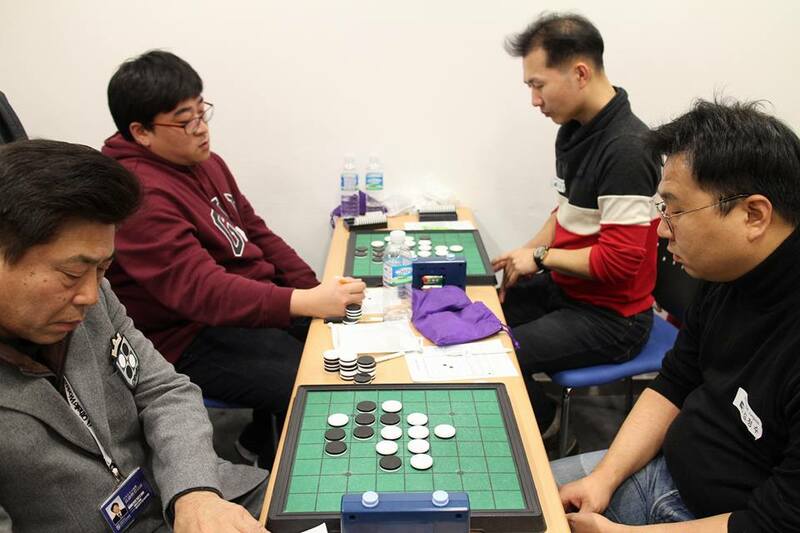 Chunyi Chang won all his games in the Swiss rounds. 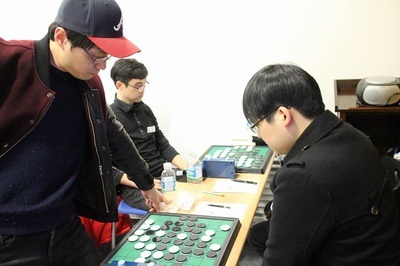 The other qualifier for the final was Enoch Wang who had 5 wins and a bye in the first round. 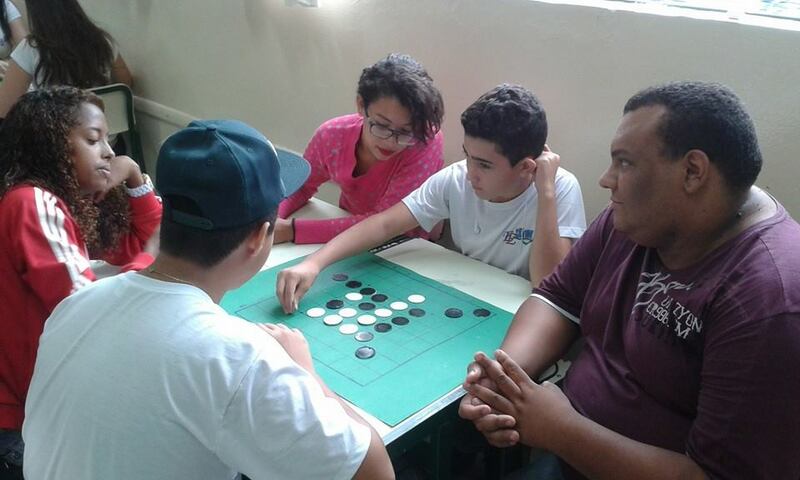 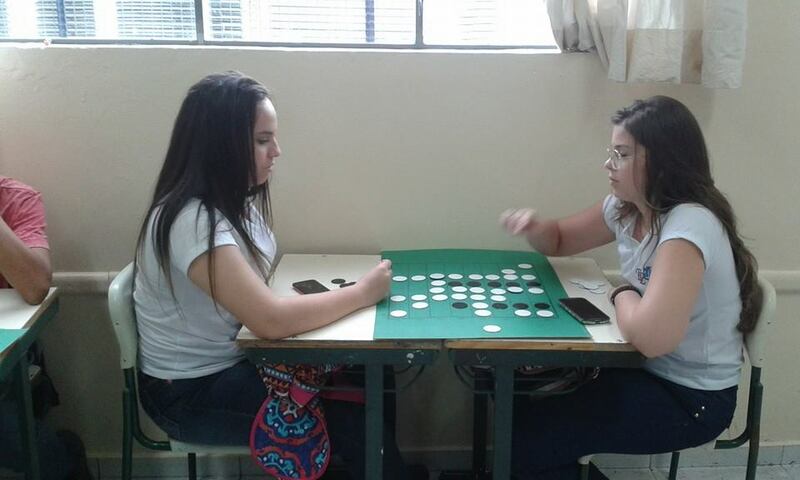 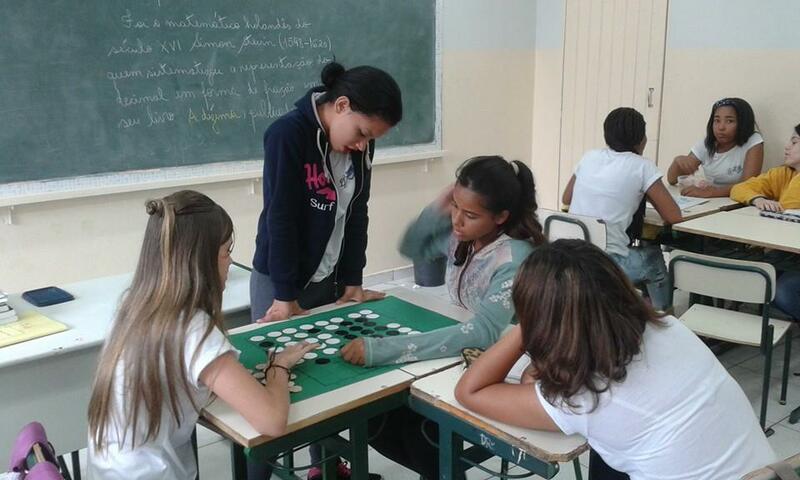 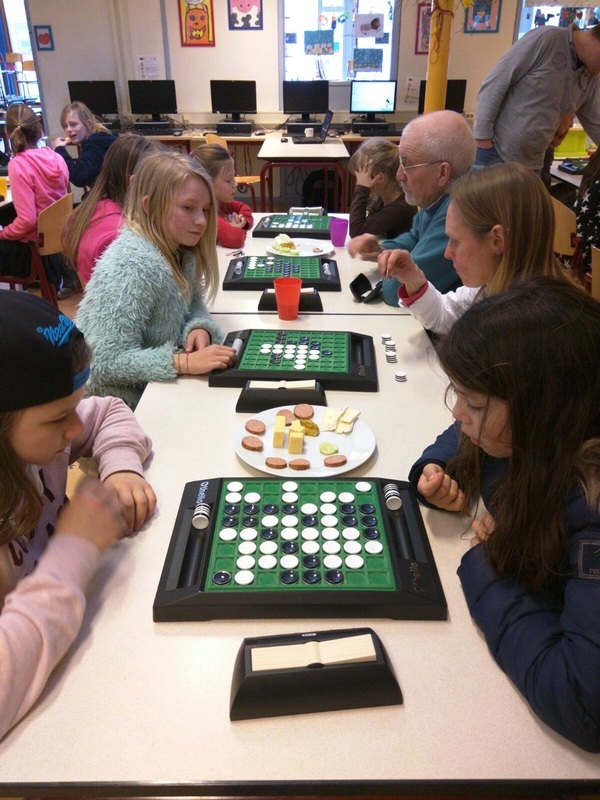 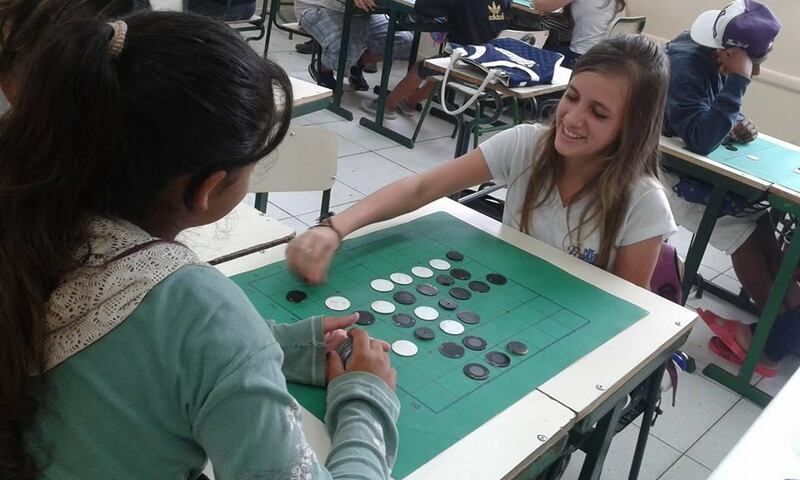 Fifty five students played Othello at the Silvania Aparecida Santos school in Nova Odessa Brazil on February 23rd. 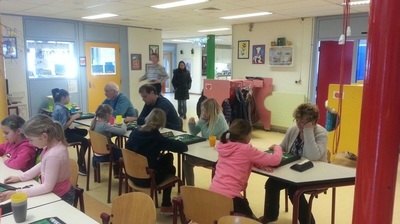 Liz Evers won the 8th tournament at the "Burijn". Up till the very last round, there were several conteders for the victory. But Liz won with 4.5 points, Anouk de Vries and Wouter Evers finished 0.5 point behind her. 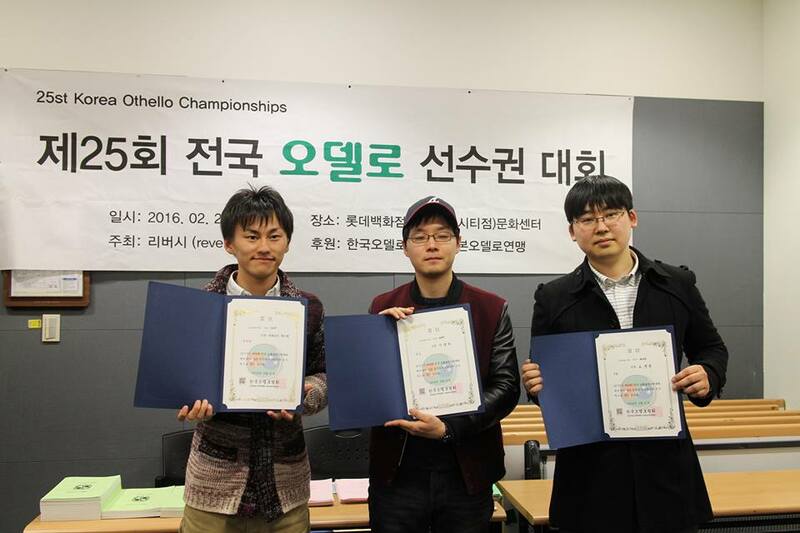 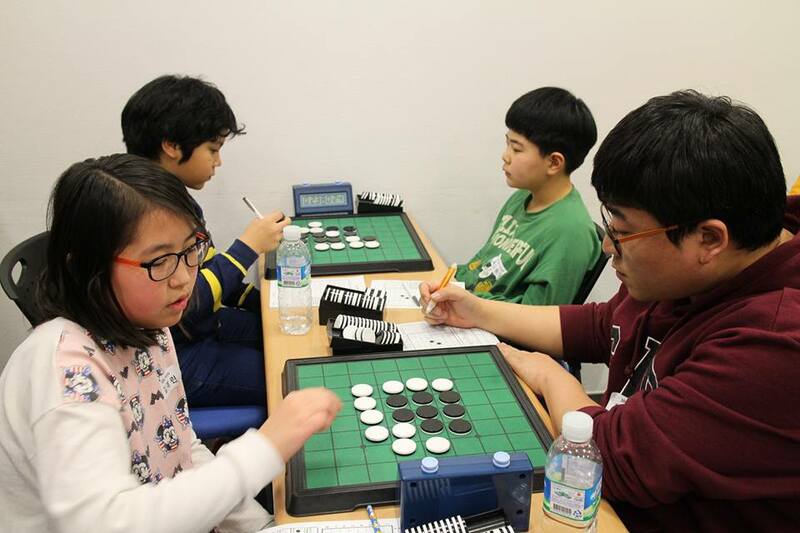 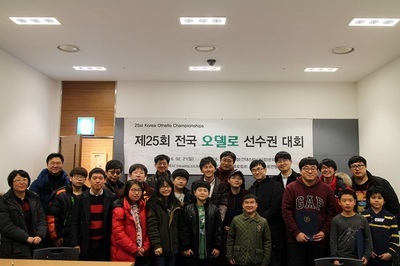 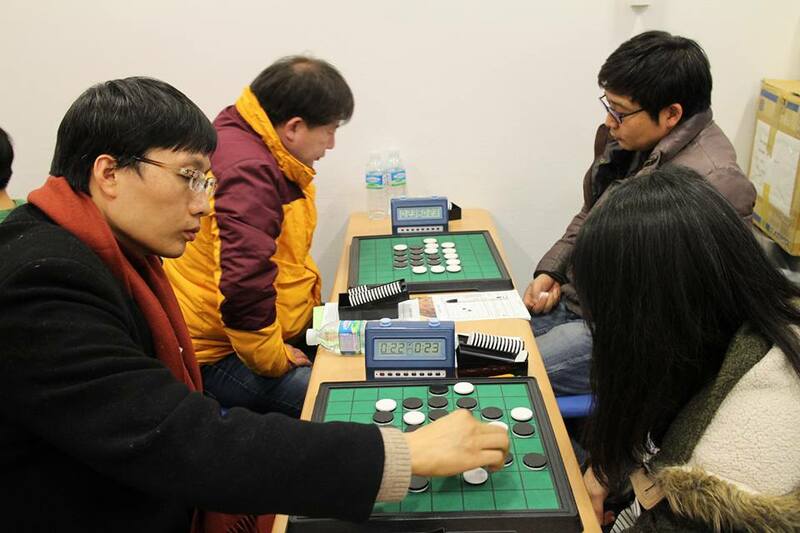 A delegation of the Japan Othello Association landed in Seoul South Korea at the invitation of the Korean Othello Association. 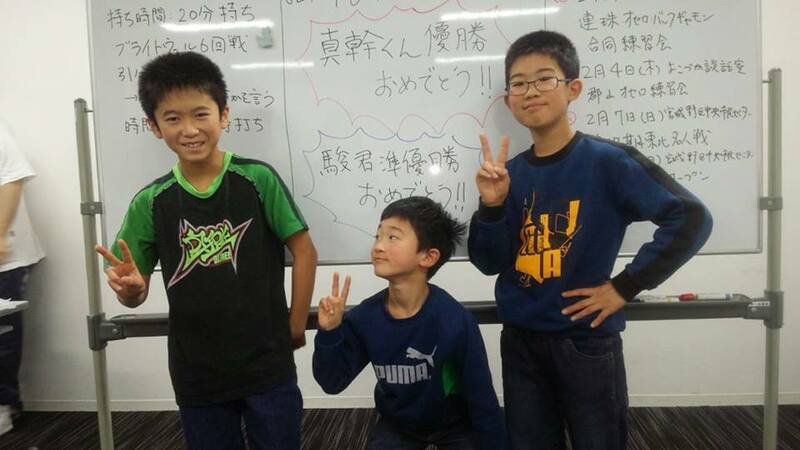 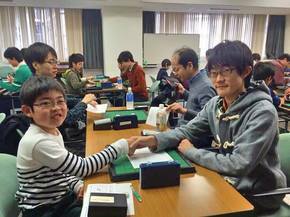 The delegation included World Champion Yusuke Takanashi who was quick to find an opponent after lunch (see picture). 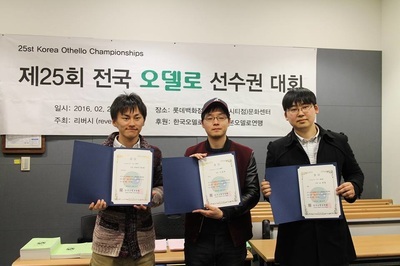 It was a great opportunity for the Othello players in Korea to see the World Champion in action and maybe even get a chance to play against him. 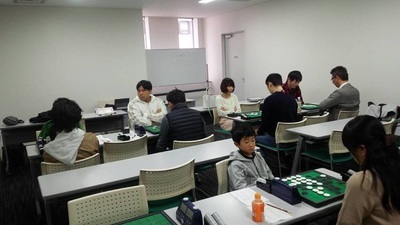 The tournament started with a shock. 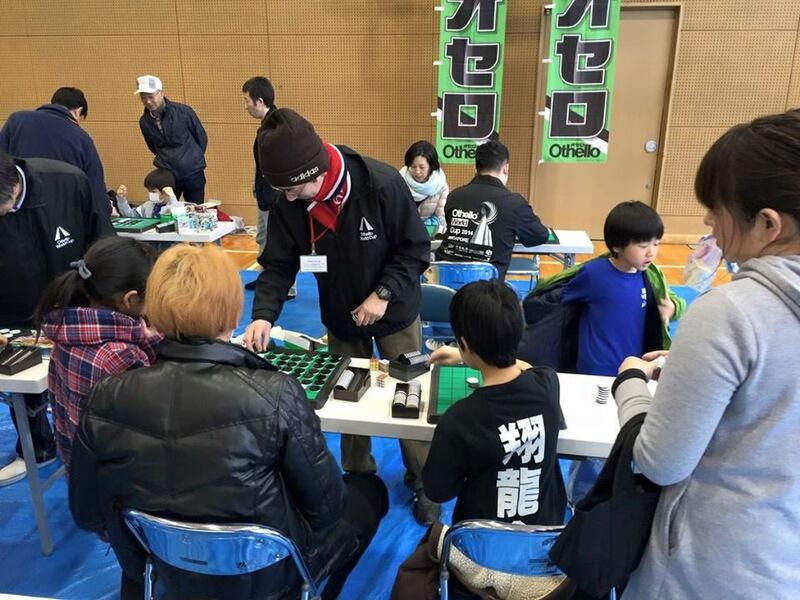 Nobody had expected Takanashi 's defeat in the first round of the tournament against Chunae Lee. 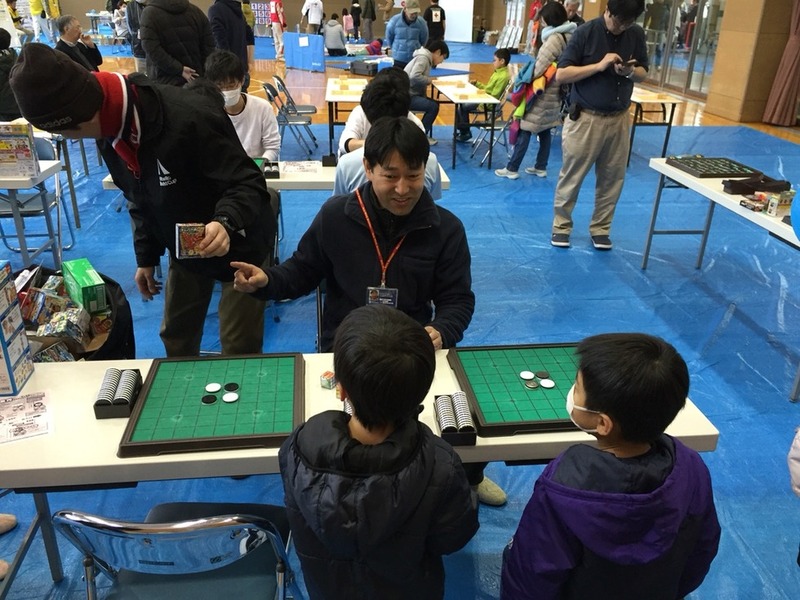 Takuji Kashiwabara won the tournament with 6 wins and 1 loss. 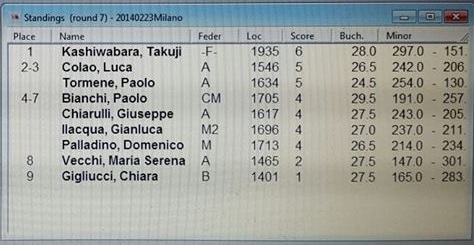 Luca Colao and Paolo Tormene finished with 5 wins. Gianluca Ilacqua won against Takuji in round 5 but did not win enough games to make it into the top 3. 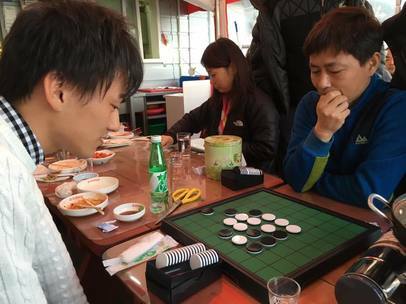 World Othello Champion 1985 and 1994 Masaki Takizawa, won the 29th Sea of Japan. 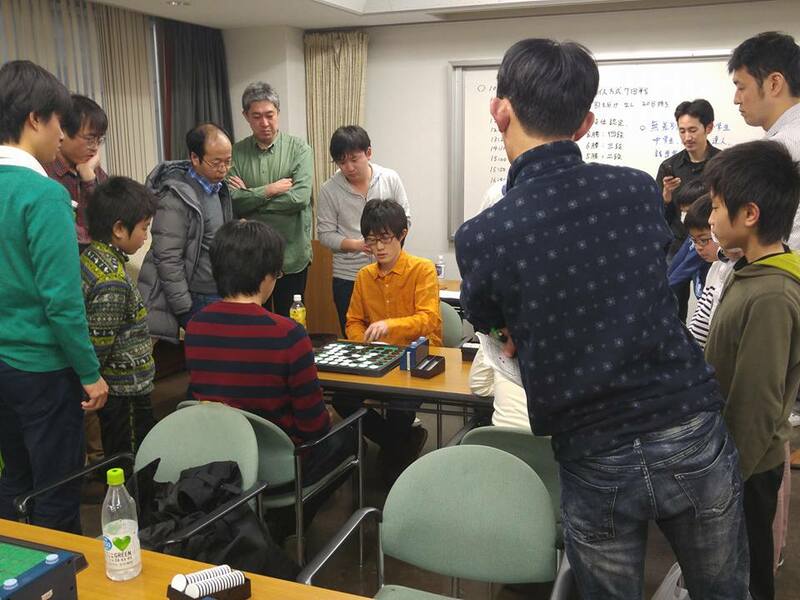 Runner-up Yoshinori Umezawa lost 29-35 in the final against this formidable opponent. 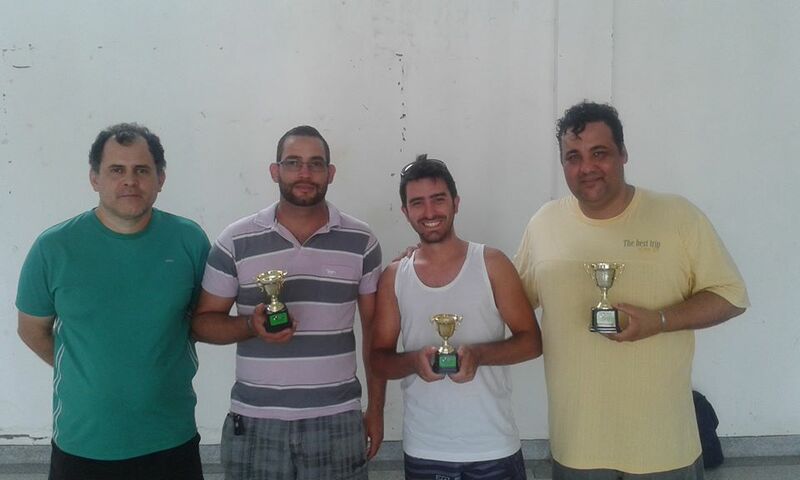 ​Gleber Ribeiro won the Othello Cup III, he was the best of 23 players. 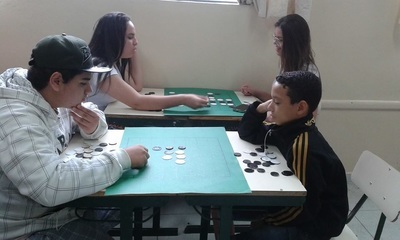 Jesualdo Tubero was the winner of Category + 60 and Vitor Correia was the under 18 winner. 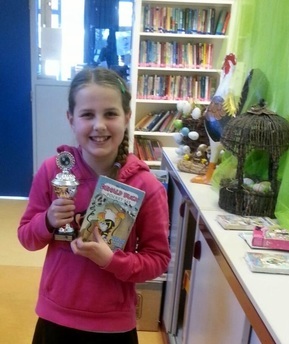 Best female player was Katy Pimenta. 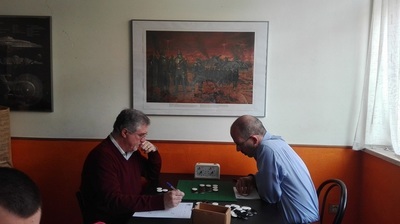 Two players finished with 5 wins, but the tourney victory went to Dutch player Albert Kortendijk. Well deserved second place for Brecht Van Damme who also scored 5 points. 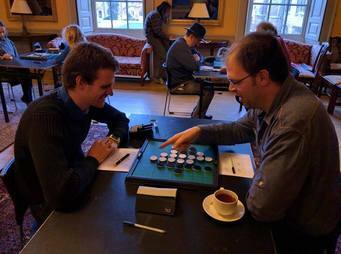 Ivo Rybárik won all his games at the second stage of the Czech Grand Prix Othello 2016. 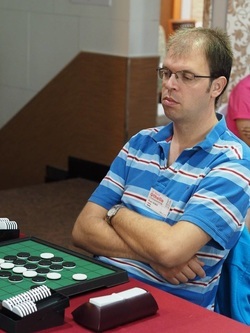 Second place was for the winner of the first stage in January, Miroslav Voráček, with 6 wins. 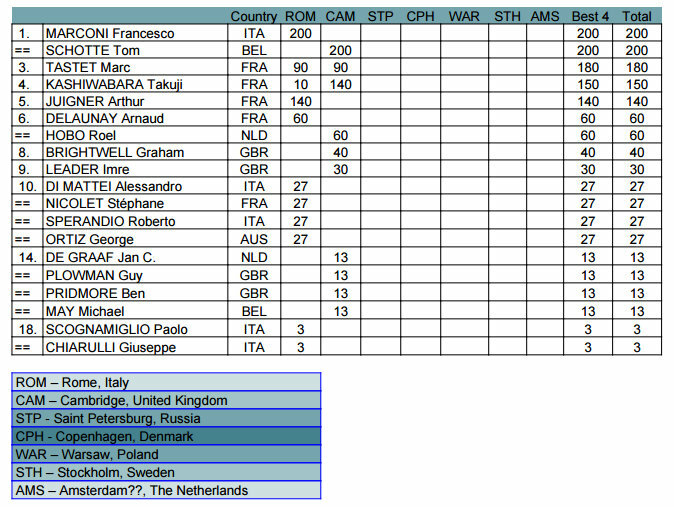 Third place for Tomáš Douda. 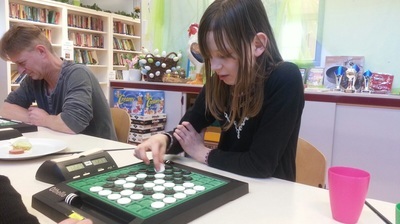 Comment by Ivo: Magic moment... 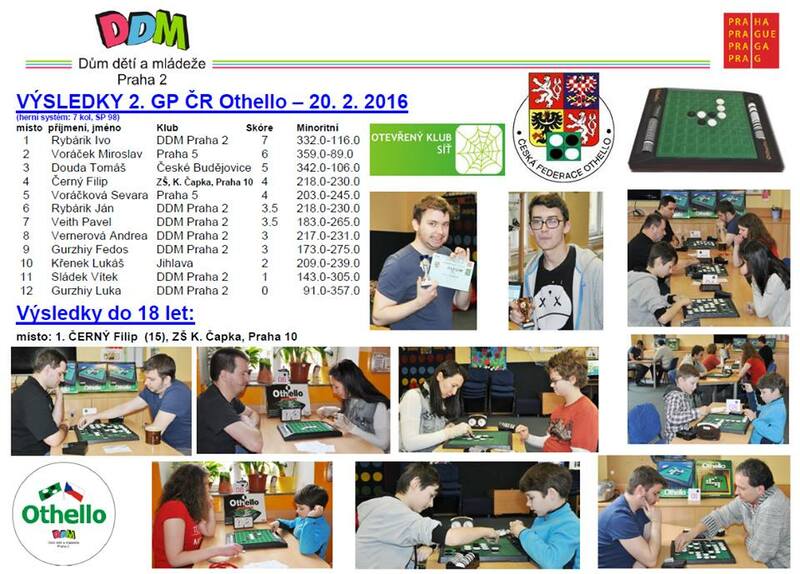 This is the first time when I beat Mirek Voráček andTomáš Douda at same match day and won the Czech Othello tournament. 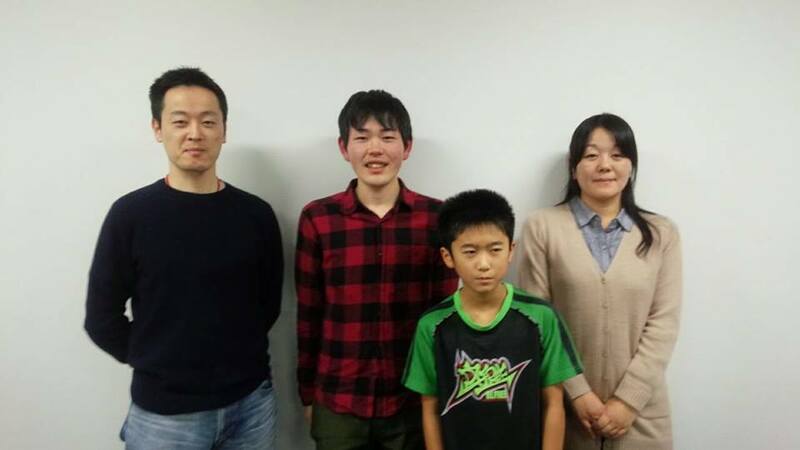 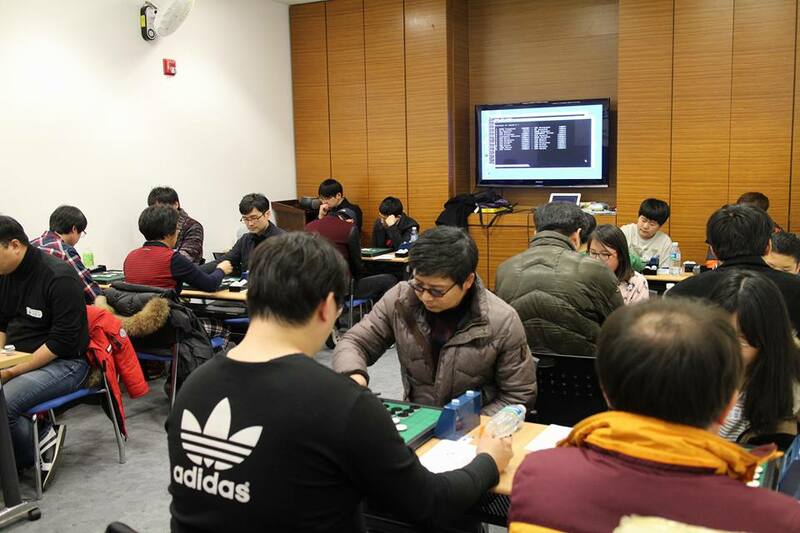 Kazuki Okamoto, World Othello Champion in 2013, won the tournament with 6 wins and 1 loss. 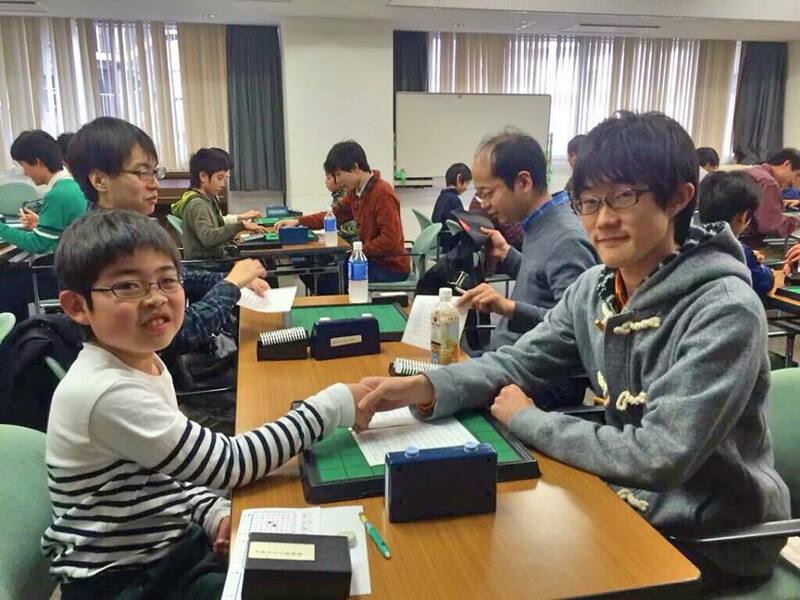 Runnerup was Yuji Miyazaki, who also scored 6 points. 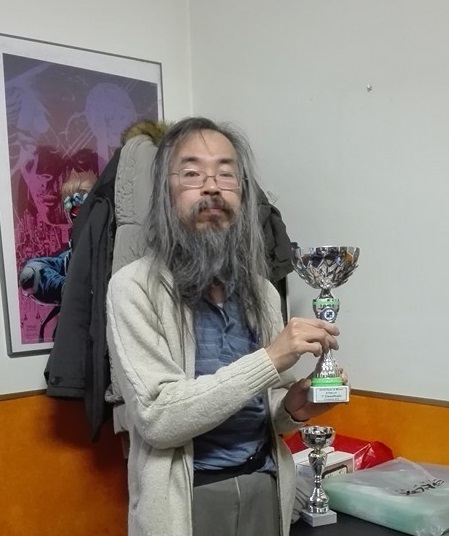 Roel won the tournament with a perfect score of 7 wins. 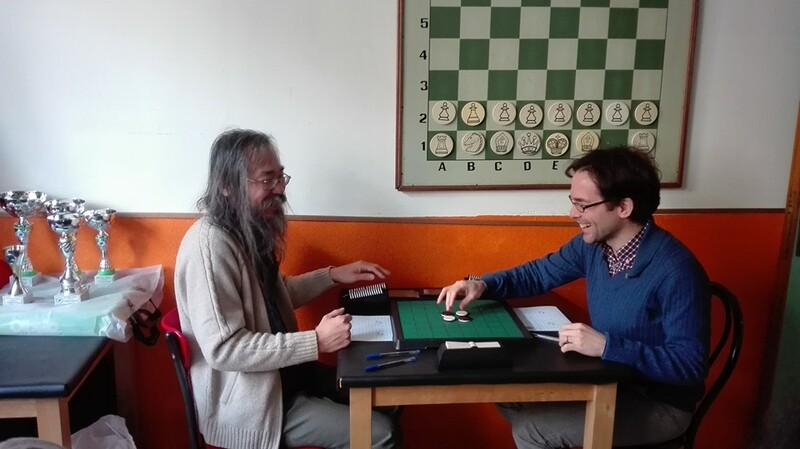 Roel and Jan will both play at the EGP in Cambridge. Good luck to both! 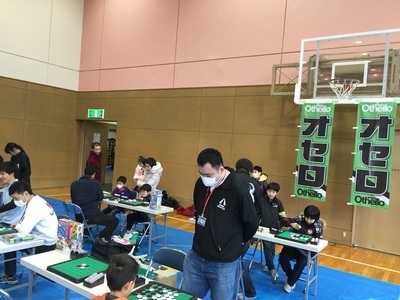 Karsten Feldborg was too strong for the rest of the players. 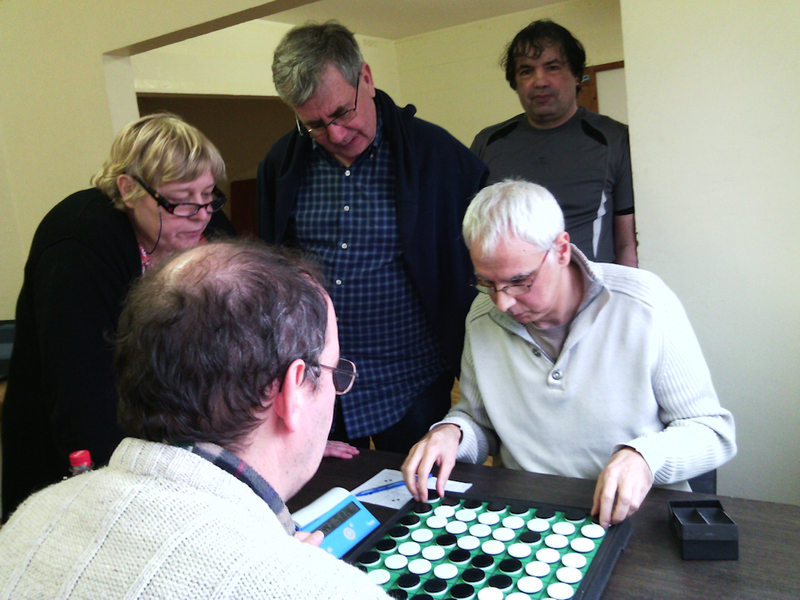 Even for Australian Geoff Hubbard who finished second. Palle Badsted finished 3rd with 5 points. 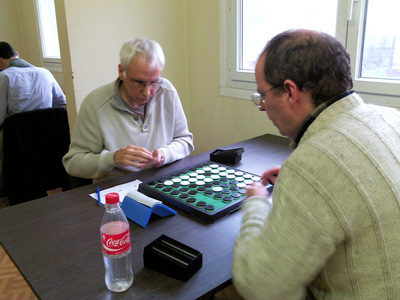 Marc Tastet won the Ile de France 1 on January 30th with 4 wins and 1 draw. 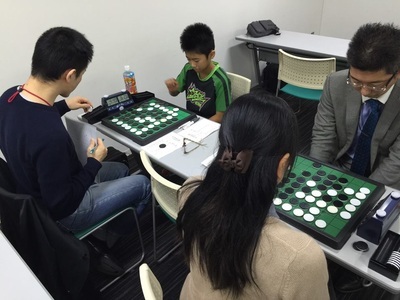 This time he finished with 5 wins. 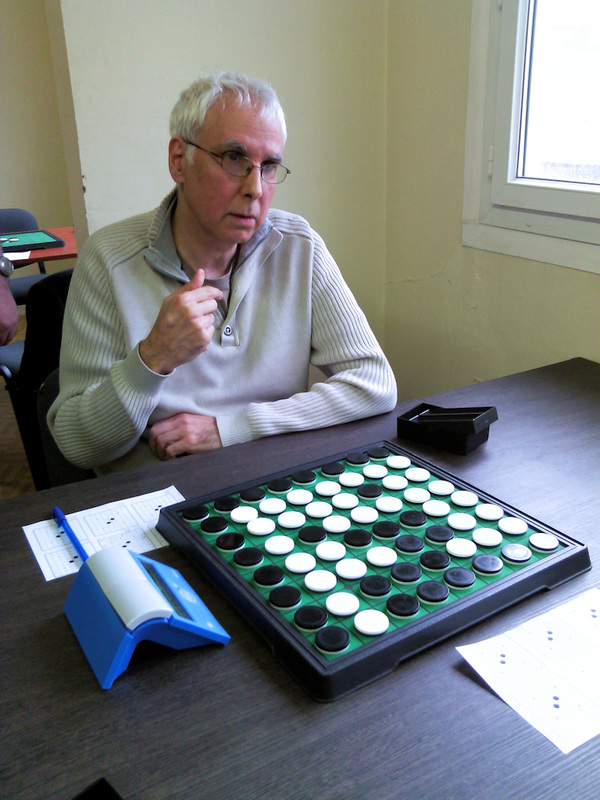 Thierry Lévy-Abégnoli came very close to a win against Marc, but fell 2 discs short. Marc will play at the EGP in Cambridge end of February. 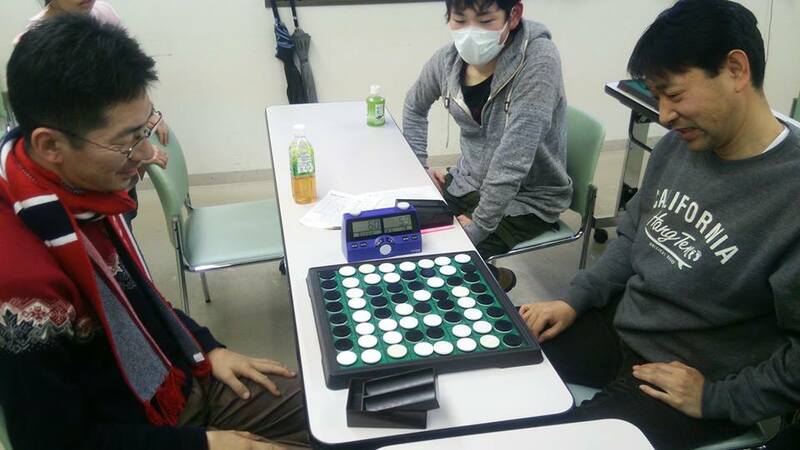 He seems in great form. 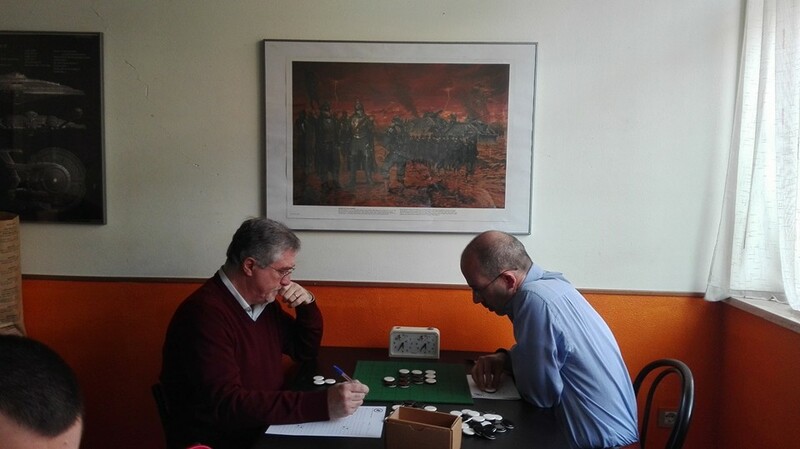 Will the French win on British soil? 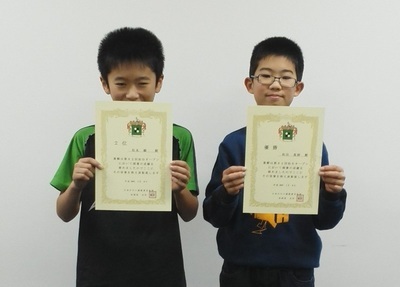 Winner is Masaki Wada and second place for Shun Matsunaga. 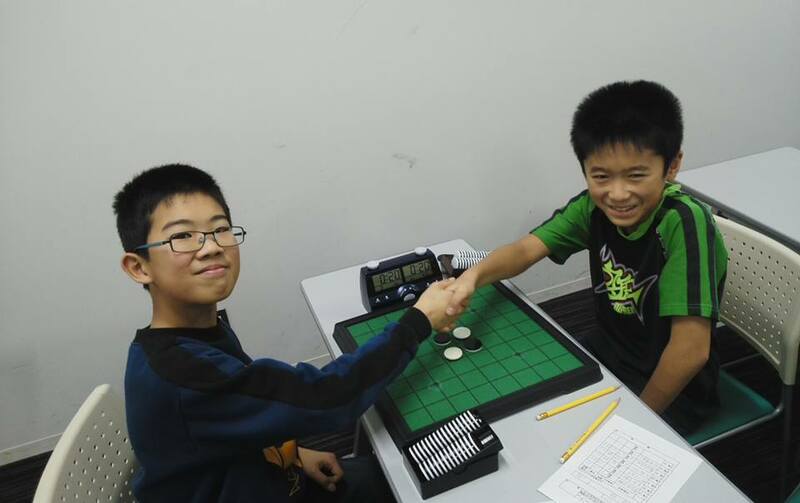 Both scored 4 wins, 1 loss and 1 draw. Takenori Oshimizu finished 2nd with 3 wins and 2 losses in the Swiss rounds. 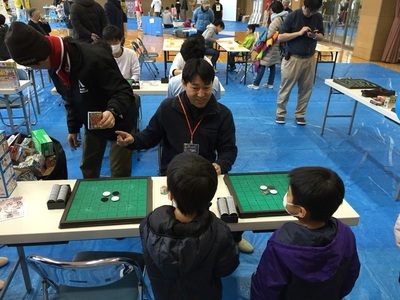 Hisakazu Sato was at the top of the list with a perfect score of 5 wins. 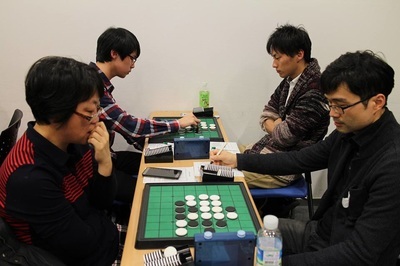 But in the final Oshimizu proved to strong for his opponent and Sato lost 29-35. 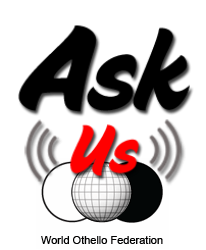 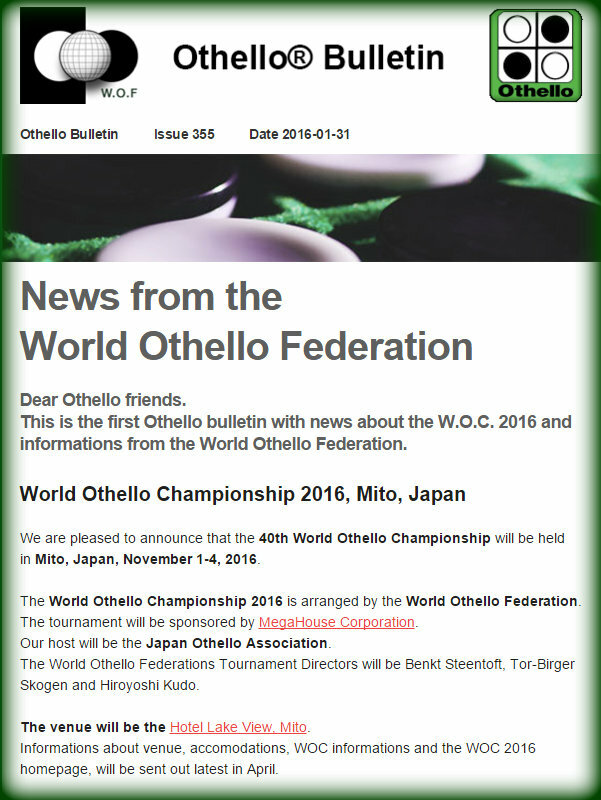 World Othello Federation Othello Bulletin 355 is out! There is a lot of info about the next World Othello Championship in Othello Bulletin 355. You can read the entire bulletin here. 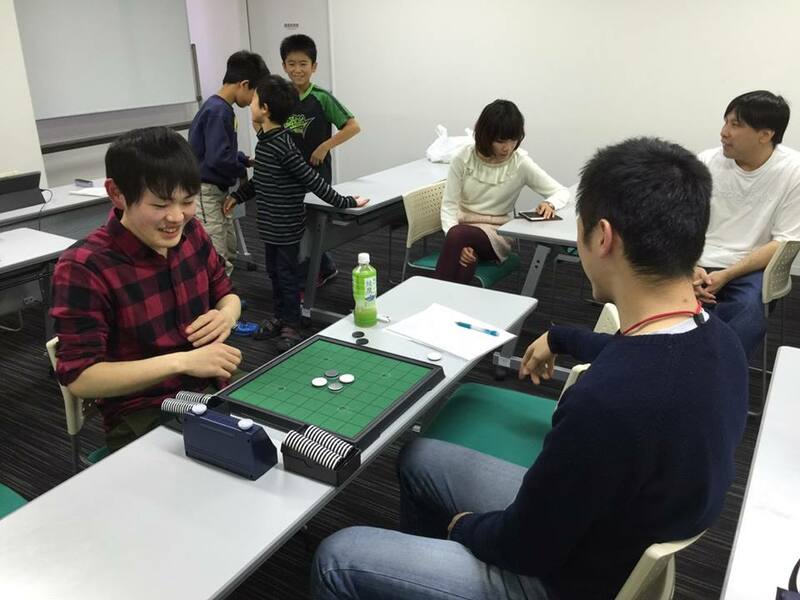 The venue will be the Hotel Lake View, Mito. 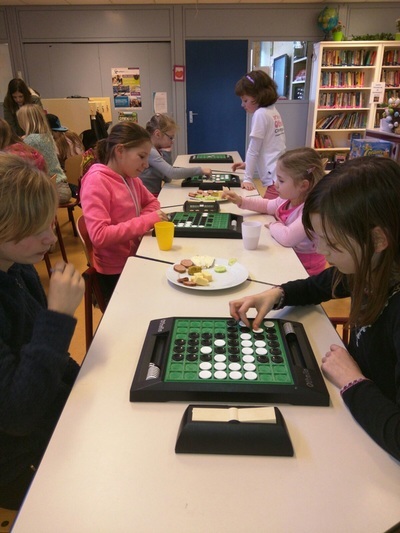 Informations about venue, accomodations, WOC informations and the WOC 2016 homepage, will be sent out latest in April. 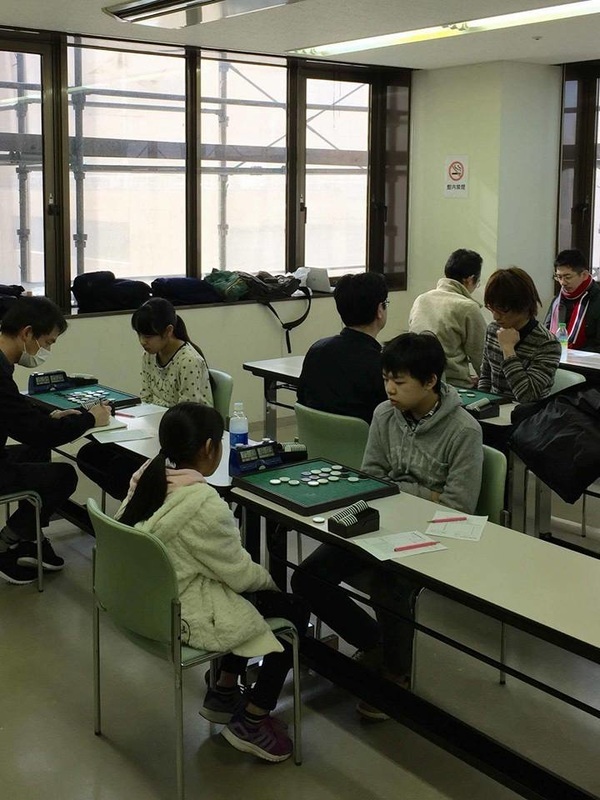 Last day for registration is June 30th, 2016. 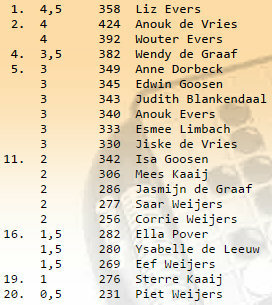 There is more WOC and WOF news in the bulletin. Othello players from all over the world, to be exact from 111 different countries, have visited our Othello News website in 2015. 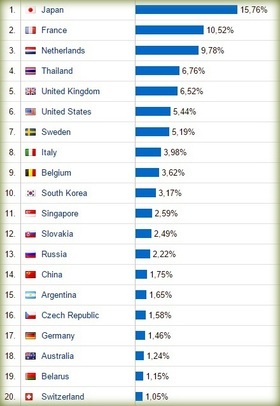 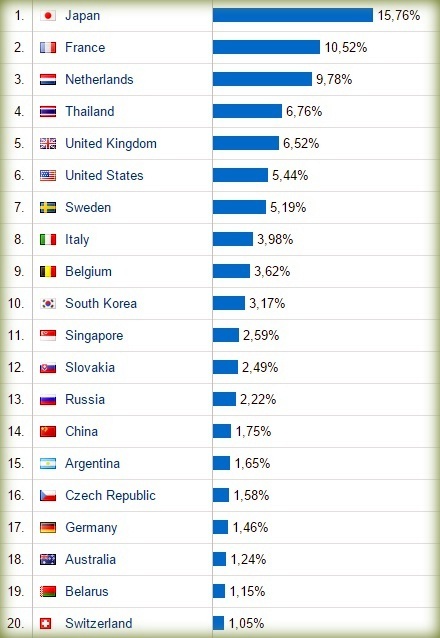 Top country: no surprise there, Japan!